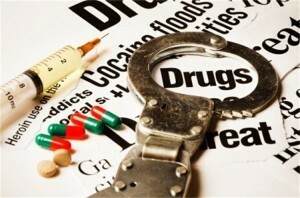 Drug possession is one of the most common criminal charges in Massachusetts. Thousands of arrests are made throughout the state yearly for possession of controlled substances. Unfortunately many people are now aware of the consequences of a conviction for this offense. They think that walking out of the courthouse is a win and that they are free and clear. Young people, in particular college students try to handle these cases themselves simply to avoid having their parents find out that they have been charged with a crime. This post examines some of the consequences of having a drug conviction and the likely outcome of these cases if you are properly represented. The bottom line is that you need a lawyer for a drug possession case. Some of the Massachusetts district courts are so overwhelmed with drug cases that the district attorney’s office often agrees to a dismissal at the arraignment provided the defendant provides a clean urine sample. In that situation, prior to the arraignment the defendant is sent out to the probation department. A urine sample is taken and tested. If it is clean the case gets dismissed. This situation is not the norm. However, an experience criminal attorney knows which courts, and more importantly which district attorneys offices are inclined to resolve a case that way. Some counties, with this assistance of the district attorney’s office have implemented drug diversion programs. This permits certain offenders to avoid prosecution for possession by entering an intensive outpatient treatment program. Eligibility is typically restricted to people with minimal or no criminal records. It is also limited exclusively to drug possession, not possession with intent cases. These cases should be pre-screened meaning that the district attorney’s office should be taking a look at these cases before arraignment. However, assistant district attorneys have huge caseloads and these cases can fall through the cracks. This makes the need for having a lawyer with you that much more important. Diversion might not be available after arraignment. Massachusetts has a unique law that punishes people convicted of drug possession with a one year loss of license. The law was designed to deter people from using drugs in the first place and to prevent them from accessing drugs after a conviction. The practical application of this law is troubling and not constructive. It is also a hidden trap that not everyone is aware of until it is too late. Hiring an experience criminal defense attorney will help you avoid this collateral consequence to a possession case. A good lawyer should be able to work out some sort of resolution that will not result in the registry of motor vehicles taking your license. No matter what, you should not have a criminal record for your first drug possession case. Massachusetts drug possession cases, if not dismissed or diverted can be resolved with pretrial probation or a continuance without a finding. In either case you will not have a Massachusetts criminal record. There are also some nuances to the drug possession laws from which you can benefit and vary from drug to drug. If you have a criminal case in Massachusetts you should call our office. With nearly three decades of experience we know that we can help you. Call our office at 617-263-6800 or send us an email now. Lets start your defense today.